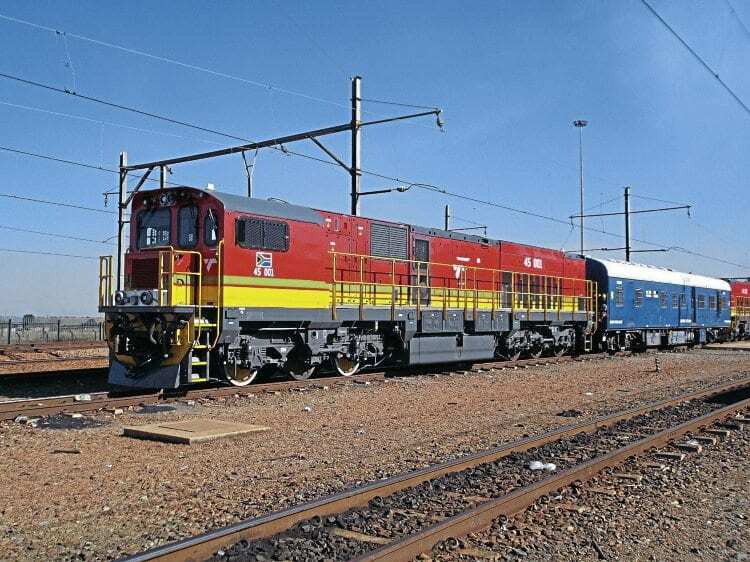 SOUTH AFRICAN national freight operator Transnet is introducing more than 1,000 new electric and diesel 1,067mm gauge locomotives to modernise its fleet. As reported in the December 2015 issue, the first of the 100 strong Class 21E BoBo 3,000kW 100kph dual voltage (3kV DC/25kV AC) electric locos being built by Chinese manufacturer CRCC at the Zhuzhou Electric Locomotive Company plant was delivered from China in September 2014. Forty of the locos were built in China and the remaining 60 are being built in South Africa. Transnet’s 1064 locomotive investment programme – the number referring to the total number of locos on order – is now well underway with international manufacturers supplying both diesel and electric locos, all of which are six axle models with a maximum axle loading 22 tonnes. Almost all of the 1,064 locos are being built in South Africa. The diesel locos on order are: 233 Class 44Ds being built at Koedoespoort works in Pretoria under licence from US manufacturer GE from early 2015 onwards. The 4,200hp locos designated ES40ACi by GE have GEVO12 engines imported from the US. The Class 44 design followed 234 earlier Class 43D GE engined locos already in service with Transnet, all but 10 of which were also built at Koedoespoort; 232 Class 45D locos being supplied by Chinese manufacturer CRRC, fitted with power units produced by Rolls-Royce subsidiary MTU in Germany; delivery of these began in 2016.